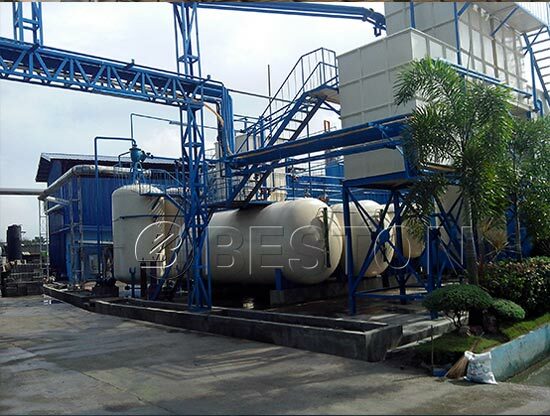 Beston waste plastic to diesel machine for sale adopts the advanced oil distillation technology, which can convert plastic oil into diesel and other fuels. 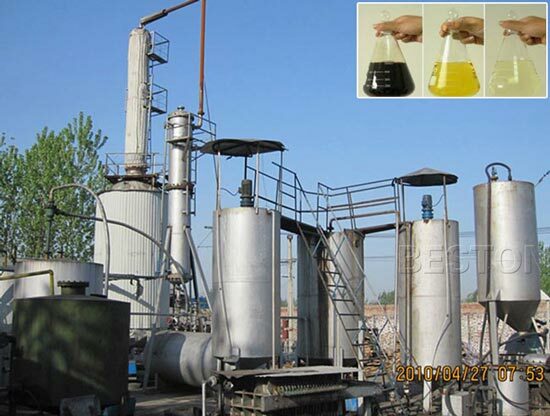 And this machine is also suitable for refining crude oil, waste oil, fuel oil,used engine oil.Finally, we get qualified diesel fuel with clean and transparent color and qualified smell, which can be widely used in low speed engine and generators such as digging machine, road roller, loading machine and so on. 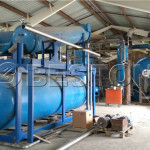 Our plastic to diesel machines are mainly divided into batch operating plant and continuous operation plant. 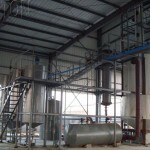 But there are some differences between batch operating plant and continuous operation plant. 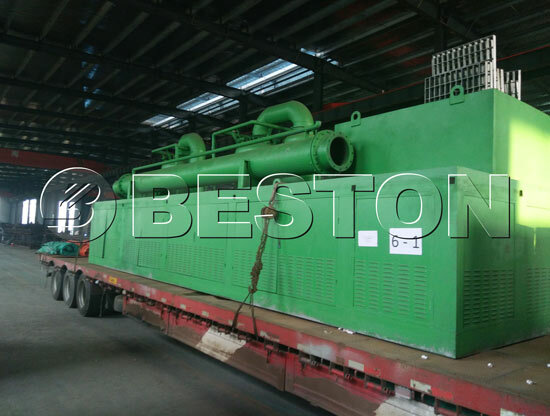 Firstly, batch operating plant can be operated in normal pressure condition and vacuum pressure condition, which has the following features: the latest hot air heating system, which can increase reactor’s life time for extra 1-2years. Totally sealed distillation reactor and distillation tower before it gets into condensers and liquefied into light fuel oil. This kind of oil will be piped into deep purifying system with acidity and alkaline cleaning devices as well pressure filtering system. 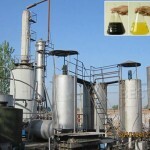 Then we get qualified diesel oil that can be used in engine and generators. The pressure release device operates through water circulation, which greatly improves the security of the system. Equipped with thermometer, pressure gauge, safety value and electric control system, the machine can avoid danger in the production process. The machine adopts three-layer dedusting system to cleanse the exhaust gas to reach European pollution control standards. The complete set of unit produces no smoke and smell with favorable effects of environmental protection. 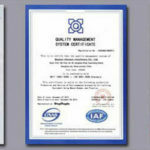 All the machines have passed CE, IS and SGS certifications. The release of pressure during the production dramatically increases the output within certain time and meanwhile improves the quality of oil. 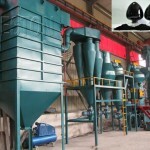 Auto feeding and discharging devices make the machine operated effectively.